We were asked to overhaul a small bungalow on the outskirts of Hexham, to provide an exciting family home. The existing house has received various inappropriate alterations and extensions over its lifetime. This has resulted in awkward internal spaces that are starved of connection with the outdoors. We will strip back the multiple extensions, leaving behind the brick plinth that once supported them. In their place, we are proposing to rest a singular light weight structure directly onto the plinth. The pitched roof form and location of openings react to the site’s challenges and makes the most of its opportunities. The vaulted timber frame extension will sit neatly above the parking area. 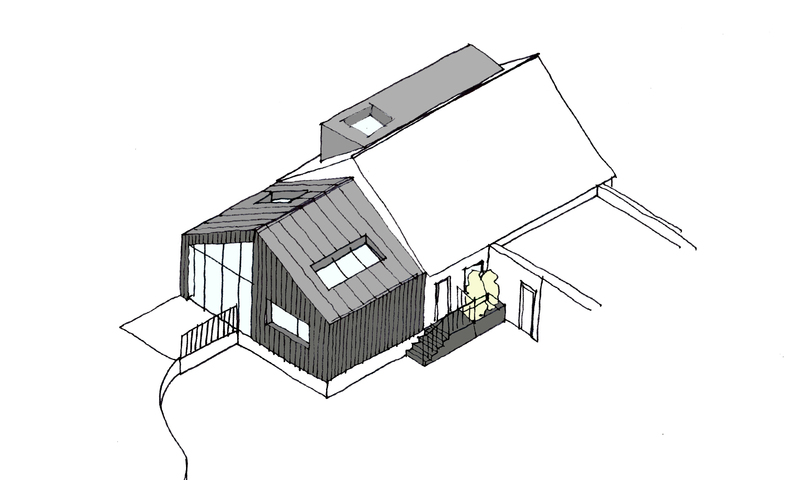 The extension will house an open plan kitchen / diner that will spill out onto a sun trap patio. We have submitted for planning permission with an aim for the building to go to site later winter / early spring 2019.